Still known by most for the war between Argentina and the UK in 1982, these far-flung islands remain a British Overseas Territory, and its citizens are full British subjects. Chief industries here are fishing, sheep-raising and tourism; and English is spoken in all Falkland Islands event venues. Its two main islands (West and East Falkland) are more than 250 miles east of the South American mainland. 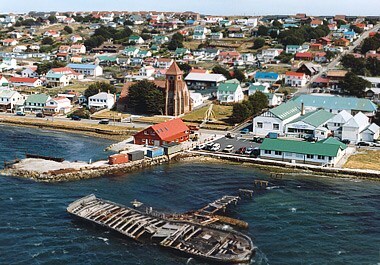 The Falkland Islands have only one town, its capital Stanley. The airport serving it, RAF Mount Pleasant (MPN; the RAF in its name stands for "Royal Air Force"), is 27 miles to the west. It receives a Saturday flight on LAN Chile from Santiago via Puerto Arenas and twice-weekly military flights open to civilians from the UK, with a stop on another distant British possession, Ascension Island. The airport remains a military base. (Prince William served a stint there in early 2012.) Cruise ships often stop here, too. There are no large convention venues in the Falkland Islands, but any meeting held here probably will be the largest show in town, anyway. Hotel venues in Stanley are found in eight small, bed-and-breakfast hotels (one even has a garden of gnomes) that accept UK pound sterling, U.S. dollars and euros. Examples include the 36-room Malvina House Hotel, which will soon have a dedicated meeting room; the Waterfront Hotel, which has eight guest rooms and boutique-style appurtenances, and Shorty’s Motel, with six rooms and an adjacent spot to Shorty’s Diner; all properties can arrange excursions, and most have Wi-Fi services. 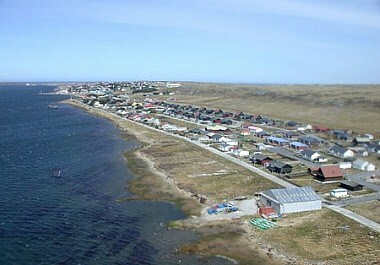 The more adventurous groups might choose between adjacent George House for 10 persons, Creek House for 10, Beach House for eight and Kiwi Cottage for five, all in North Arm, still on East Falkland but a lengthy drive from Stanley, and where if all rooms are taken, guests will outnumber residents, or 13-room Sea Lion Lodge on distant Sea Lion Island, the southernmost point in all the islands. There is a lot of natural scenery to meet in (one major reason for coming here), but if you want to have a function indoors, then Falkand Islands event venues include Galpon, a stone house in Darwin (named for Charles) that was the former home of 19th-century gauchos; Globe Tavern, a British pub in Stanley, sometimes with a peat fire; Lighthouse Seamen’s Centre, which can cater to groups of up to 50 persons; and the Stanley Leisure Centre. Restaurants on the islands, which specialize in meats, seafood and pub grub, include the restaurant at the Malvina House Hotel (see above) and, also in Stanley, the Woodbine Cafe, Stanley Arms, Michelle’s Cafe and Narrows Bar. There are no current promotions in Falkland Islands.